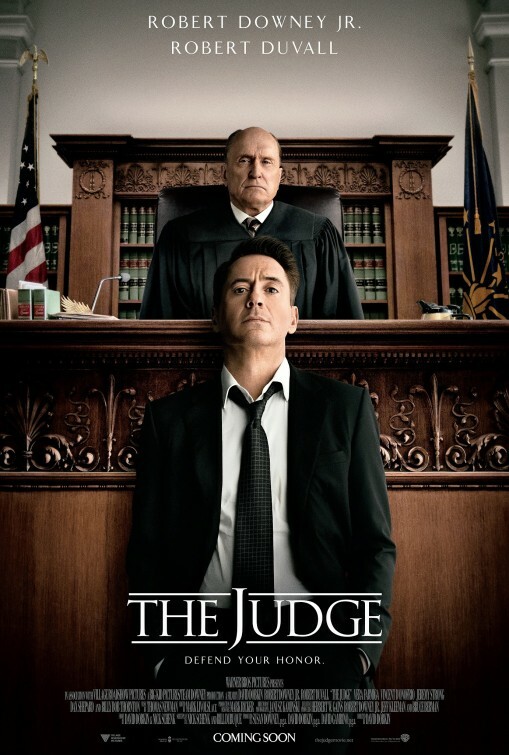 Review: I can imagine the script for The Judge came together by accident. Perhaps a pair of screenwriters were both walking around a local coffee shop with two scripts, one was about a big city lawyer defending his estranged father on a murder charge and the other was about a hot-shot attorney who retreats home after discovering his wife was cheating on him. Maybe the two writers stumbled into one another, sending their loose-leafed scripts up in the air in a flurry of white paper and when they picked themselves up they couldn’t discern what pages belonged to which script so they decided to just combine them and sell the unified work as The Judge. I mean, that’s one theory right? And it’s a lot more acceptable than knowing full well and good that The Judge was no accident, made with purpose. 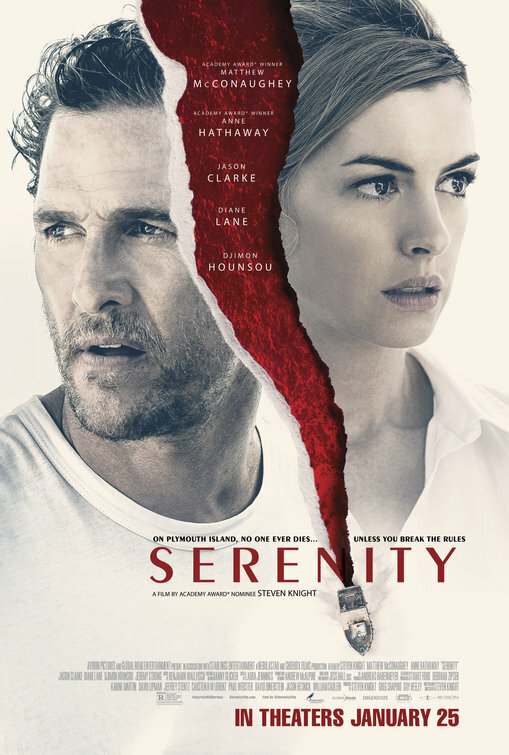 No amount of revisionist history can save this film from being one of the worst motion pictures in my recent memory, squandering the talents of its able-bodied cast for 141 of the most ghastly minutes you’ll spend in a theater this year. Reminding me a lot of the equally awkward This Is Where I Leave You, The Judge miraculously ups the unpleasantness factor by offering not one moment that feels genuine; at least This Is Where I Leave You had a few redeeming qualities about it …and was forty minutes shorter. 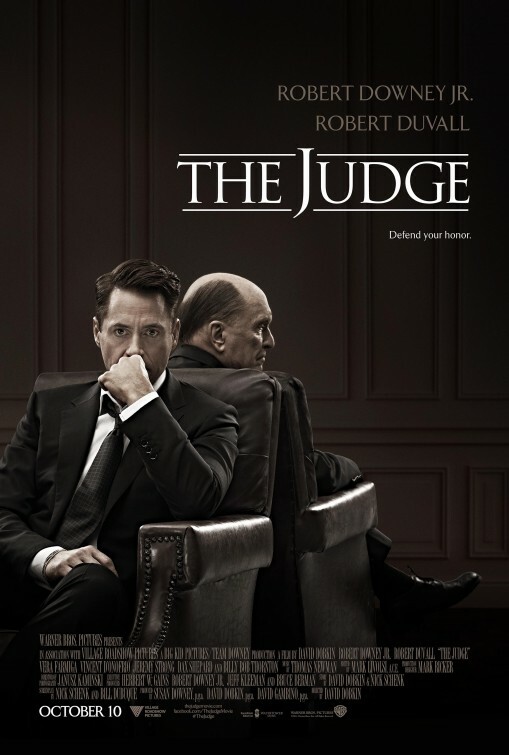 Seeing early trailers, I thought The Judge held some promise considering the pairing of two Roberts in a courtroom drama. Robert Downey Jr. (Iron Man, Iron Man 2, Iron Man 3) seemed like the perfect actor to be matched with Oscar winner Robert Duvall (Tender Mercies, The Paper) and sparks were expected to fly. I’m not sure any combination of actors could have risen above the tone-deaf script that veers schizophrenically from comedy to drama, never succeeding in either arena. Returning to his all-American hometown after his mother’s unexpected death, legal eagle Hank (Downey Jr., looking disturbingly skeletal…where’s the full faced lad from Less than Zero?) clashes with his father (Duvall), a respected town judge. 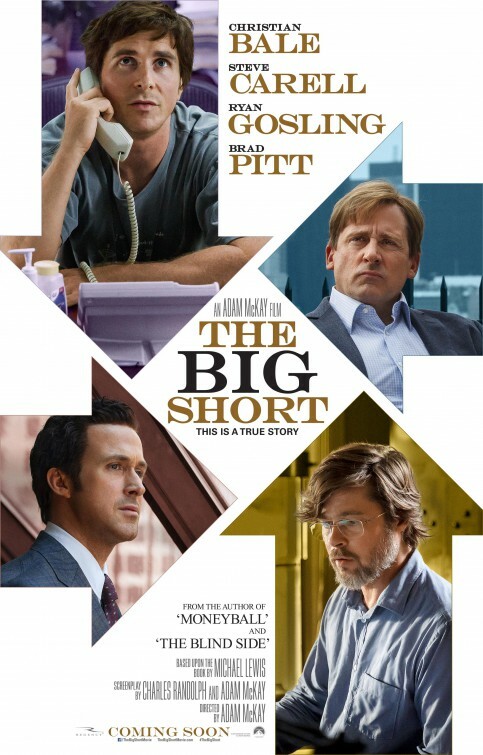 As he reconnects with his brothers (Vincent D’Onofrio and Jeremy Strong) and an old flame (Vera Farmiga, The Conjuring, totally wasted though she’s miscast in the first place), he’s drawn deeper into the unresolved past with his dad after the judge is arrested on suspicion of murder and put on trail by a vengeful prosecutor (Billy Bob Thornton, wearing a Colonel Sanders wig and flashing his receding gum line every chance he gets). Now I’m not going to deny that there’s a good idea somewhere in the plot and perhaps if director David Dobkin wasn’t so interested in wringing the ever loving emotional life out of every single scene then The Judge may have fared better overall, serving as a minor distraction for Downey Jr. between his Marvel superhero commitments. Nearing the end of this folly, I turned to my companion and exclaimed “There are so many emotions in this movie!” and it’s the God’s honest truth. No emotional well is left undrained by Dobkin and co. as they move us through self-serving scene after self-serving scene. I began to wonder if the entire movie wasn’t some elaborate prank where every acting clip shown on the Oscars wasn’t recreated in one film. There are courtroom confessions, tender moments bizarrely played out in front of masses of people, tough good-byes, difficult hellos, old wounds reopened, and healing apologies delivered as one single tear rolls down a cheek. It’s all simply too much. It’s an ugly film too. When the backdrops aren’t horribly digitally inserted the film takes place in houses, bars, and courtrooms that have “natural” light coming through the windows by way of 1000 watt search lights, suggesting cinematographer Janusz Kaminski (Lincoln) has shot the movie like a Christopher Nolan directed episode of Judge Judy. Culminating in a borderline offensive finale that wears its manipulation as a badge of honor, I can’t recommend enough steering clear of this mish-mash of a missed opportunity. Thoughts: Though I’ve seen the poster and the trailer for The Judge several times now, I still fight with telling myself that it’s not the latest adaptation of a John Grisham thriller…not that the preview doesn’t suggest something similar to Grisham’s sweaty courtroom dramas that were all the rage in the mid-90s. With a nicely meaty role, star Robert Downey Jr. (The Avengers) ,may have found a nice antidote to the Iron Man/Sherlock Holmes track he’s been on for the last few years. Paired with Oscar winner Robert Duvall (Tender Mercies), I’m looking forward to seeing the two generationally different actors work alongside one another. It really is the quiet ones that sneak up on you. From the preview of Robot & Frank, I was guessing that the film itself would be a blip on my radar in the grand movie-going scheme of things. Good buzz propelled me to see it opening weekend and I’m so glad I did. Now, I have more time to spread the word about the film and encourage others to take it in as well. What on the surface appears to be a Driving Miss Daisy-esque film with a cranky old-timer rebelling against the services forced upon him by his offspring is really a rare film of integrity and surprising heart. Set in the near future but looking quite similar to the world we live in today, the film opens with Frank (Langella) and his daily routine. With his rumpled attire and his set-in-his-way gait, we quickly pick up that he lives alone and likes it. He spends his days in the upper NYC hamlet he calls home trudging into town to flirt with the librarian (Sarandon) and shoplifiting some items from a local store. Gradually we learn that Frank’s become more forgetful lately and shows early signs of Alzheimer’s. That’s when Robot comes into his life courtesy of his son (Marsden) but against the wishes of his human rights minded daughter (Tyler). Programmed to keep him active and healthy, Frank resists the Robot until naturally he can’t any longer. It’s only when Robot accidentally gets a five finger discount on something that retired cat burglar Frank starts to feel like his old self again. That’s more of a plot description than I normally like to give but it’s key to have that groundwork for what’s to come next. The film doesn’t so much change gears as it just chooses a different fork in the road that we didn’t notice originally. 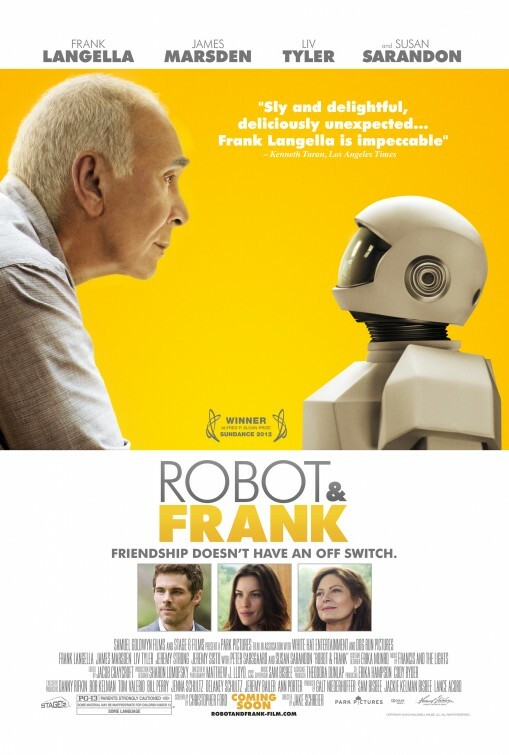 The symbolism of a man losing his memory working with a robot who can easily be reformatted is not lost on the viewer or Frank. As acceptance of the future starts to set in for all of our characters a new, more poignant film is revealed that’s quite impressive. I’ve always found Langella to be a bit inaccessible as an actor as he is mostly cast in aloof roles. In Robot & Frank, this coolness works in his favor. Frank (the character) sees what’s happening to him and begins to pull away from the world either out of fear or pride and it’s only when he starts to regain his old spirit that he warms. It’s one of Langella’s best performances, understated and nuanced and played to perfection. Marsden and Tyler also do strong work as his children who approach their father’s declining health from different points of view. Marsden plays a family man who is trying to be there for his kids like his dad wasn’t there for him. Moving into the role of caregiver, he brings Robot to his dad not as a way to remove burden from him, but as a way to give some peace of mind. Tyler’s character strongly opposes the use of advanced technology and struggles to do right by her dad while still providing him the same care Robot does. Both actors have great familial chemistry with Langella and each other. I could go on and on about my continued admiration for Sarandon in every role she touches. Already scoring strong in 2012 with her sensitive work in Jeff Who Lives At Home, she too turns a secondary character into one with a lot of heart and authenticity. As her past is revealed slowly throughout the film I marveled at the way she took control of her seemingly innocuous librarian and made her flesh and blood. Langella and Sarandon are pros and you’ll know what I mean after you see the film. In the pivotal role of Robot, first time director Schreier wisely chose to eschew any CGI work by using an actress (Rachel Ma) to portray Robot onscreen and cast Sarsgaard as the robot’s calming voice. In his soothing delivery, there are echoes of HAL2000 from 2001: A Space Odyssey but that’s where the similarities end. Both performers are key to the success of the interactions onscreen between Frank and Robot with Ma making the movements believable and Sarsgaard holding steady as the stolid marvel. An unobtrusive but lingering score by Francis and the Lights and beautifully detailed cinematography by Mathew J. Lloyd all work in conjunction with Schreier’s touching direction of Christopher Ford’s script. There’s a lot to say about progress, memory, aging, and family and it’s all delivered in a manner that never feels false. It could have been easy to make the future world look more tech-heavy but instead the lower budget may have worked in its favor with only a few slight upgrades to items you’ll believe will have advanced that far in the next decade. At only 89 minutes, the film feels like an early Christmas gift that’s waiting to be unwrapped. 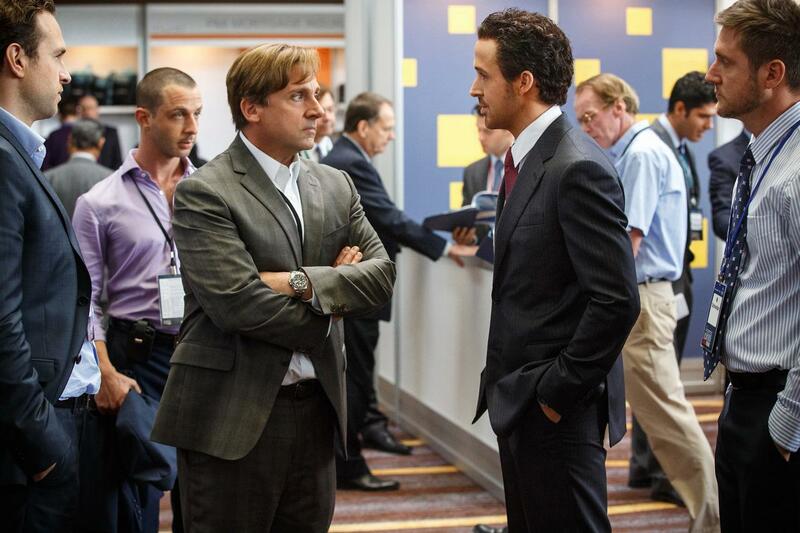 Thanks to spot-on performances and a delicate third act, I was so impressed with what I was seeing onscreen. Like The Intouchables before it, this is one of the most moving films I’ve seen in 2012 and recommend it highly.